Jersey Mike's Subs Ribbon Cutting Hosted by IB Chamber of Commerce Tuesday June 27th. 881 Palm Ave, Imperial Beach, Breakwater Town Center. 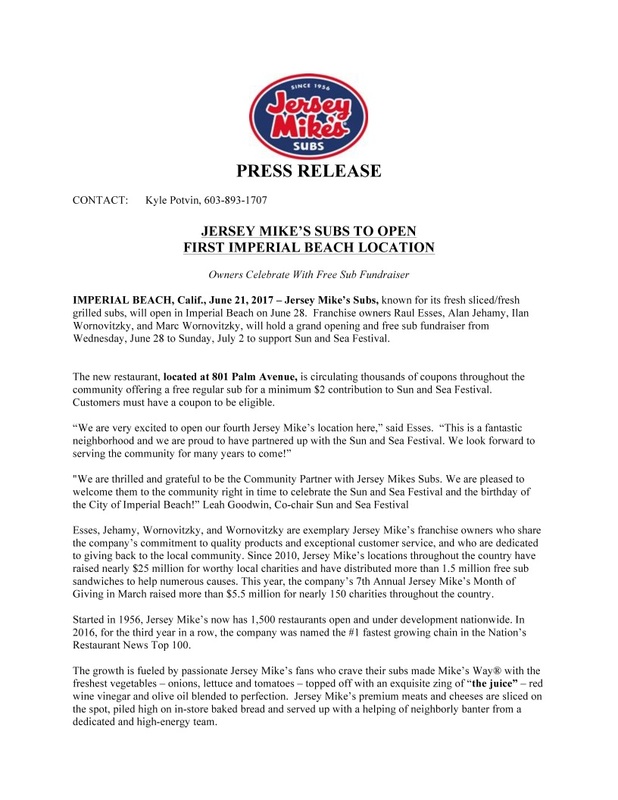 Come on out Tuesday June 27th and join the Imperial Beach Chamber of Commerce in welcoming Jersey Mike's Subs to Imperial Beach and the new Breakwater Town Center. Their will be a ribbon cutting at 1pm and festivities are scheduled to go on until 3pm. No RSVP Required!